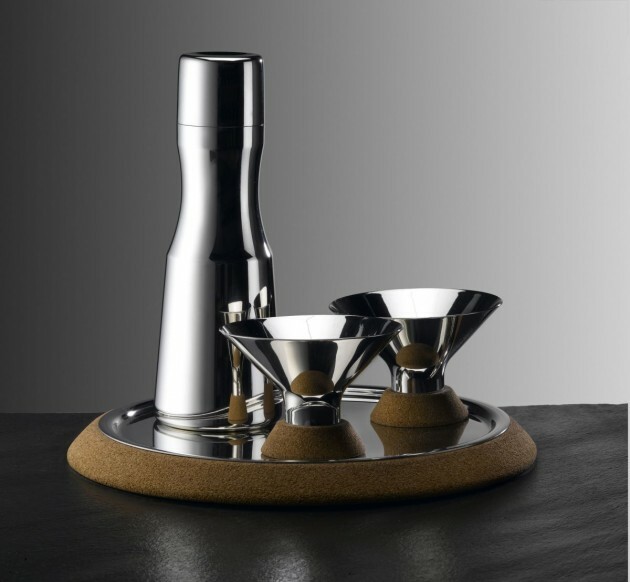 British designer Miranda Watkins is delighted to announce that her Martini cocktail set has been selected for inclusion in the permanent collection of the Victoria and Albert Museum. Commissioned for Wallpaper* Handmade, an exclusive exhibition organised and curated by the iconic lifestyle magazine, Miranda has created Martini, a sleek travel cocktail set hand-produced in Britain by A.R. Wentworth of Sheffield. 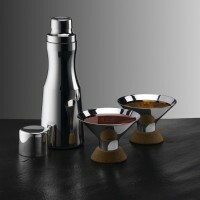 Martini combines two traditional materials, pewter and cork, to exquisite contemporary effect. The sheer simplicity of the design, with its clean lines and gentle curves, achieves a modern yet classic feel, while effortlessly conveying the beauty of pewter. Martini is Miranda’s second successful collaboration with A.R. 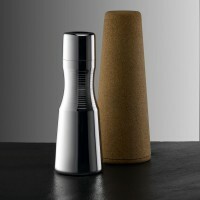 Wentworth, following on from the Gleam Pewter Collection of tabletop products, which won the Eureka Design Award in 2008. 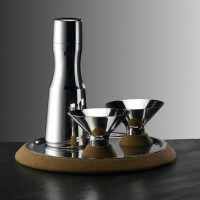 Martini is available to order directly from Miranda Watkins Design. Visit Miranda Watkins’ website – here.